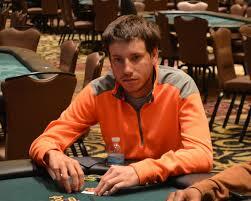 Daniel Weinman, a pro poker player from Atlanta (United States) has won the HARRAH’S CHEROKEE main event. 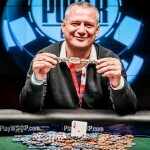 He won the WSOP gold ring and took home the winning amount of $280,260. Daniel Weinman is a 27 years old pro from Atlanta. The tournament was in process since many days to which Weinman did really great at the main event of the tournament. Daniel Weinman was very pleased after winning the ring and the first prize of the event. Weinman was a runner up for the same tournament played at Cherokee in 2013. At that time a North Carolina native player Mr. John Bowman won the first prize. Weinman told to the reporters that it was a great win by me. It is pretty awesome and it really feels great when you do such big things. It was a dream comes true for me. “I was at the same spot before two years ago when they held the same tournament/event and was “runner up”, Weinman added. Weinman also told that “It was a great win for me, I was very nervous and due to the pressure I couldn’t eat this morning as well”. 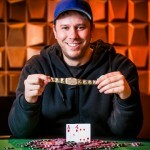 Daniel is the newest WSOPC Champion of Atlanta after winning Harrah’s Cherokee main event. For his victory in the Main Event, Weinman earned the top prize of $280,260, the gold ring, and an entry into the 2016 Global Casino Championship. Best live cash for Daniel Weinman is $280,260 and total earning for him till date is more than $1 million. Harrah’s Cherokee is one of the best casino resort and hotel based in North Carolina, USA. This is one of the best place for gambling lovers and gamers. This casino resort welcomes gamblers and poker players from all around the world to play their favorite game here with in association with the World Series of poker. The casino resort & Hotel is owned by Eastern Band of Cherokee Indians and operated by Caesars Entertainment.